Many Americans are not happy with their smile. How can cosmetic dentistry help? FEATURE — As characters in the musical “Annie” famously sing, “you’re never fully dressed without a smile,” but according to a 2012 study commissioned by the American Association of Orthodontists and conducted by Wakefield Research, more than one-third of American adults are unhappy with their smile. A deeper look at the study reveals just how impactful a healthy smile can be on a person’s love life, professional life and overall self-esteem. The study concluded that of Americans who were unhappy with their teeth, 36 percent believe they would have a better social life if they had better teeth. Further, 78 percent of Americans perceive adults with crooked teeth to be unsuccessful, the study found, and 14 percent of those unhappy with their teeth felt they might be missing out on a better job. And then there’s the impact on a person’s love life – 77 percent of the women polled would prefer a receding hairline to crooked teeth in a potential love interest. Dr. William Plumb of Plumb Dental believes that there is nothing better than having a healthy smile. “A smile is the first thing you typically notice when you meet somebody,” he said. Plumb knows firsthand how a better smile affected his own self-confidence after having orthodontic work to straighten his teeth as a young boy. 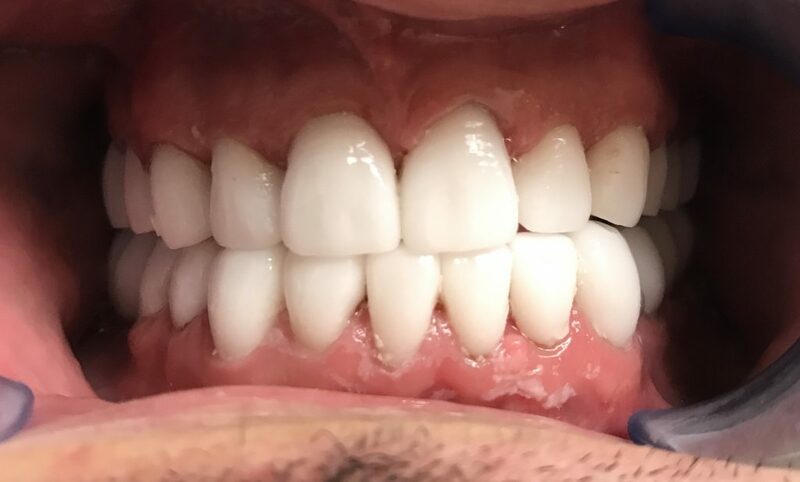 His positive experience not only gave him a needed confidence boost, he said, but also led him into the field of dentistry. In addition to general dentistry, Plumb and his staff specialize in several cosmetic dental procedures. According to the American Academy of Cosmetic Dentistry, cosmetic dentistry aims at creating a positive change to a person’s teeth and smile. Cosmetic procedures can range from simple color correction to replacing missing teeth and everything in between. The academy maintains that cosmetic dentistry must complement the overall general and oral health of a patient. Plumb echoes that belief. Using state-of-the-art equipment and the latest in dental technology, Plumb does veneers – porcelain restorations that cover the teeth and can be manipulated in shape and size – tooth whitening, crowns, implants and more. His procedures are safe, effective and as minimally invasive as possible, which improves recovery time and reduces post-operative discomfort, he said. Plumb is passionate about restoring teeth to a healthy state while at the same time improving people’s self-confidence through their smiles. Cosmetic dentistry is also an investment into a person’s overall oral health. 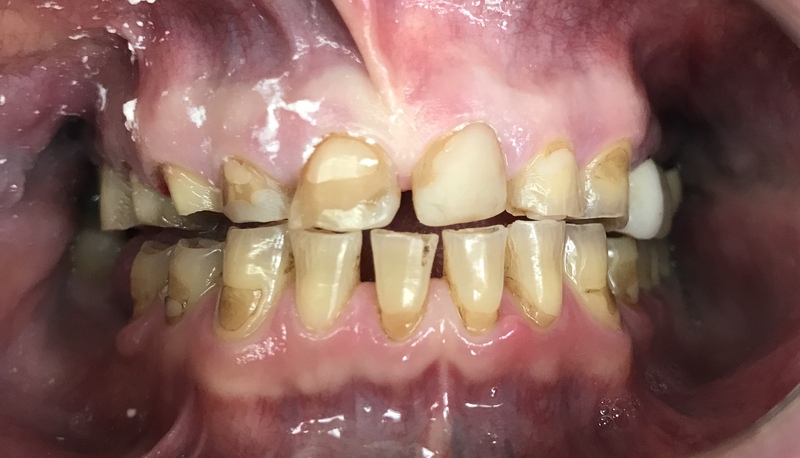 Restoring a patient’s teeth through crowns, dentures, veneers and implants not only improves their smile but also helps stabilize their bite, preserve bone structure in their face and/or jaw and may help avoid cavities. Having a healthy mouth and functioning teeth is something that a person will use every minute of every day for the rest of their life, Plumb said. Plumb Dental provides a wide array of dental services including general dentistry, dental hygiene, pediatric dentistry, cosmetic dentistry, dental implants, same-day crowns, sedation dentistry and more. The practice currently has two dentists – Plumb and Dr. Paul Harmer – as well as a talented team of hygienists, assistants and office staff. Operating hours are Monday, Tuesday, Thursday and Friday, from 7 a.m. to 2 p.m. with alternating Mondays and Fridays open/closed, and Wednesdays from 10 a.m. to 6 p.m. The office is accepting new patients. To learn more or to make an appointment call Plumb Dental at telephone 435-673-9606. Plumb Dental | Address: 427 W. 100 South | Telephone: 435-673-9606 | Website.